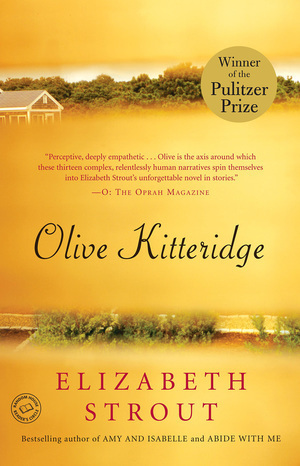 Why did I add Olive Kitteridge to my bookshelf? I am featuring a book that I don't remember buying once again. I loved Elizabeth Strout's I am Lucy Barton so I am sure that I would have snatched this one up as soon as I saw it at a book fair or discount retailer but I have no memory of the event. I do think that it sounds really good and hope to pick it up soon now that I know that there is a copy hanging out on my bookshelf. I hope it is as good as it sounds. Hope you enjoy it if you decide to read it! I haven't read from this author, this book sounds wonderful. Another book to add to my list. I hope you enjoy it when you do read it. I liked I am Lucy Barton and the short story collection that followed and have been meaning to read this one. I hope you read it soon so I can see your thoughts on it! I am Lucy Barton was a wonderful book so I am looking forward to this one. So I don't own this one. Hope you get to make time for it soon. It is amazing how many books I have collected over the years. I don't read a lot of literary fiction but it is nice every once in a while. I think I dnfed it...or the movie? I have so many books I've bought and then just let languish on my kindle. I should take part in this. Hope you get to this book soon. Sounds like an interesting slice of life. Can't wait to hear what you think, Carole. I tend to buy books and then forget about them. I am trying to work on that which is one of the reasons I started doing these posts. It can be such a surprise to really take a close look at your bookshelves.